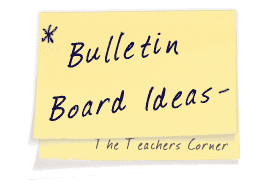 Our June Bulletin Board Ideas page will provide you with great resources for a number of monthly events, holidays and themes. Our bulletin boards will help you integrate seasonal activities into your daily curriculum. Ideas within the June bulletin board pages include resources for the following: Flag Day and Father's Day. "We had a picnic in fourth grade!" 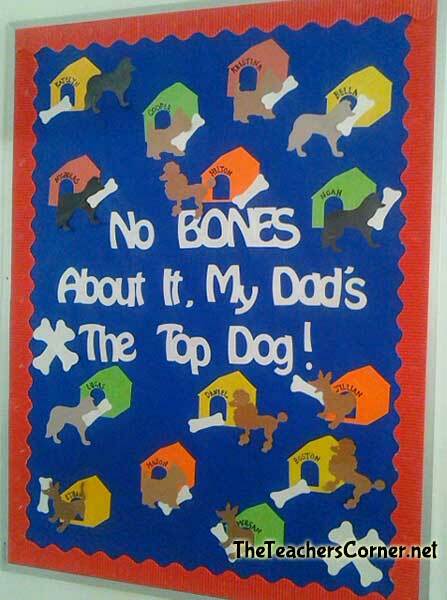 The best June bulletin board I ever did was a picnic scene. It was titled " We had a picnic in fourth grade" I created a red and white checkered tablecloth using red and white construction paper. The paper was used to create 3x5 inch squares. Then I made a brown picnic basket with brown construction paper and placed it in the center of the bulletin board. Hanging out of the basket, I drew a soda bottle, mustard bottle and other things associated with a picnic. Then I placed paper plates all around and next to each plate I placed a napkin, fork and knife. I even drew ants and placed them all around. To complete the bulletin board, my students wrote about their most memorable event of fourth grade. Please EMAIL us your favorite June Bulletin Board Idea!